My brother, Paul, developed schizophrenia at age 16. Seemingly overnight he became psychotic, going from charming, handsome high school junior to someone unable to differentiate between reality and horrifying delusions. He could not believe that he was actually mentally ill, and often told people his brains had been damaged when he’d been scalped, or that someone had shot him in the head. He once cut a large gouge into the flesh behind his ear, trying to find the radio someone must have put into his head. He was carried out of the house by EMTs, bleeding heavily. He needed psychiatric care for the next 32 years, but often suffered needlessly, due to the shortage of hospital beds for mentally ill people. Hundreds of thousands of our fellow Americans are suffering, often homeless or incarcerated for the simple crime of having a brain disease. Not everyone realizes how difficult it is for families who are struggling with the often impossible burden of caring for someone like Paul. 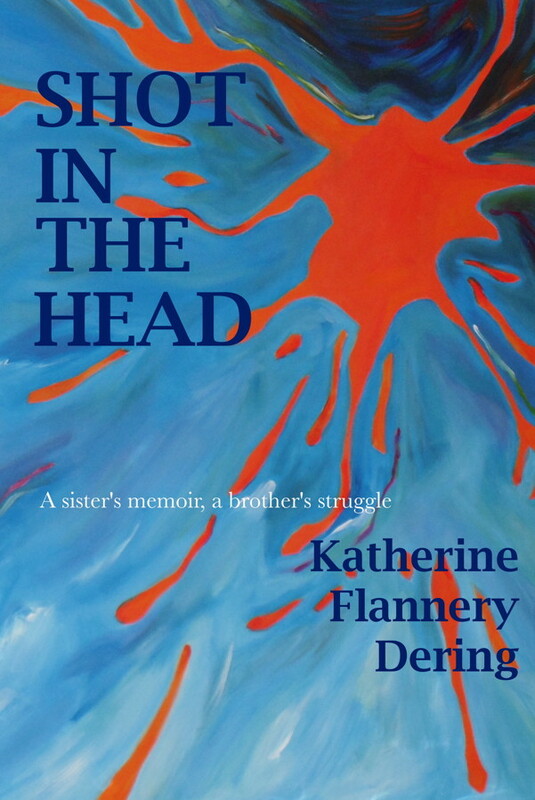 I wrote about caring for my brother and the impact it had on our family in my book, Shot in the Head, a Sister’s Memoir a Brother’s Struggle. Ilene, his twin sister, travels and writes to promote changing laws to enable families to get better care for the loved one. We are not doctors, but we have faced this illness on a personal level. Both of us have become mental illness activists. A psychiatrist named Dr. Stephen Seager came across my family’s story in a blog written by Ilene. Steve met up with us when we were in California for a NAMI conference–a large convention for the National Alliance on Mental Illness–in SanFrancisco. He then interviewed us for a documentary he is producing called Shattered Families, the Collapse of America’s Mental Health System. Dr. Seager is convinced that if America sees how devastating serious mental illness is for the whole family and how our current system of care doesn’t help properly, that our lawmakers will become convinced to change things. He is interviewing people across the country and contributing an account of his own chilling experiences at a state forensic hospital, which he has also described in a book called Behind the Gates of Gomorrah. Our stories are heartbreaking, but Dr. Seager has ideas on how to make it better. Won’t you help us get the message out? This is where Indie go go comes into the story, and your chance to be part of it. Getting the family stories on film is only part of the project. The rest is getting some post production work done and then doing the marketing. Making copies, traveling to talk in person with distributors. This is totally different from going to a bank for a loan or applying to some government agency for a grant. This is a grass roots, please help us fight a terrible terrible disease one-on-one effort. Dr. Seager has brought our documentary to the crowd sourced funding world. I hope you will join us. Everyone who contributes to the cause will get their name included in the credits at the end of the film. Please join our cause. Go to the indiegogo web site or click on our video on youtube. Listen to Ilene talk about Paul, and make a contribution to the Shattered Families cause. Put your name next to mine, and join our effort to make the world a little bit better place.